Time to redirect all the energy you spend begging strangers to let you pet their dog. I Love Fur, a game by Singapore-based designer Nina Geometrieva, requires players to digitally pet the fur of different animals. The game—available for free on iTunes—does have an objective: to make friends with new animals to pet. It requires the user to be a polite person and refrain from petting strangers. You begin the game with one acquaintance, a bear, and once you pet your new friend to satisfaction—as displayed by a bar at the top of the screen—the bear will recommend you to another animal. In this way, you move through the game acquiring acquaintances, learning how they want to be petted (the porcupineapple wants to be scratched around its red spines, for instance), and taking your friendship to the next level. Users can also purchase recommendations and go straight to petting their favorite animals. The game isn’t very stimulating, and that's deliberate. 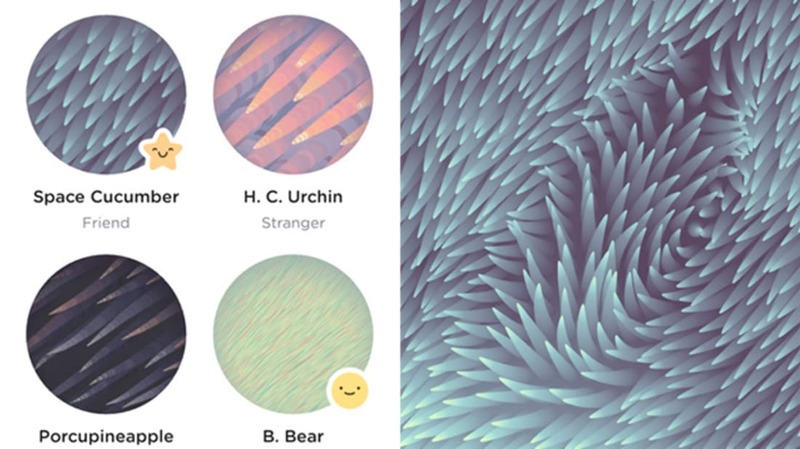 I Love Fur is designed to be almost as relaxing as petting a real animal, and a mindless way to zone out with your phone (similar to stress relief app Pause). The different textures of the animals are uniquely rendered, making it exciting to gain new acquaintances and see how the different furs look and move.